Colchester, Ontario lies on the north shore of Lake Erie just east of the mouth of the Detroit River. Visiting Colchester harbour during the last week of 2013, I discovered a frozen Lake Erie and no sign of open water. In the bright sunshine, the ice sparkled with colour. Further west, the Detroit River was not frozen. There was ice moving with the current but, for the most part, the water was open. Recent winters have been much warmer resulting in less ice forming on the lakes but this winter has started early with colder temperatures. 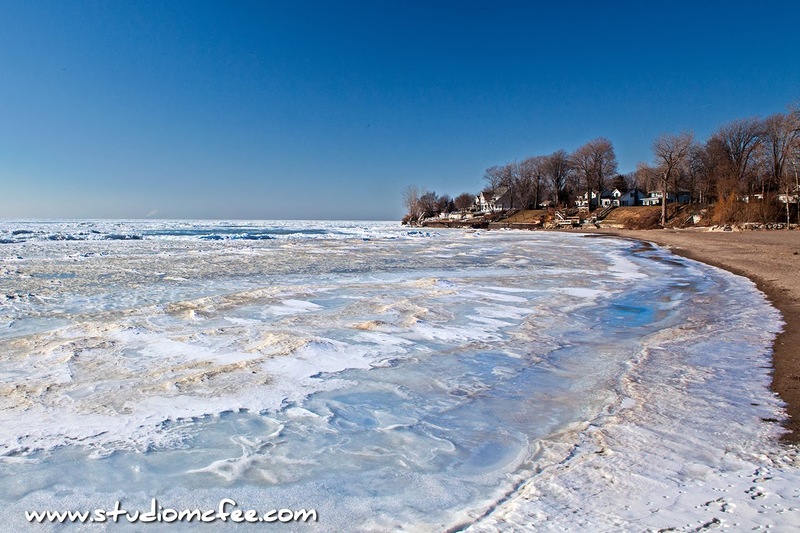 Ice on Lake Erie in late December is the result.